Atypical femoral fractures (AFFs) are low-energy femoral fractures with characteristic radiological features and a suspected relation to treatment with bisphosphonate (BP) or denosumab. In osteogenesis imperfecta (OI), BP is currently the drug of choice when medical treatment is indicated. Due to bone deformities, the radiologic appearance of femoral fractures may be different in patients with OI and patients with osteoporosis. We investigated the prevalence and appearance of femoral fractures in a cohort of adult patients with confirmed OI (55 patients, age range 19–69 years, 26 women (47%) and 35 patients (64%) had received BP treatment), who attended the outpatient clinic at Aarhus University Hospital. The fractures were evaluated according to major and minor AFF criteria. In our OI cohort, we found that eight out of 55 patients had suffered a femoral fracture in adult year: five women and three men, aged 25 to 54 years. One patient had OI type I, two had OI type III, four had OI type IV, and one had OI type V. All fractures were associated with no or minimal trauma. Four patients had fractures that fulfilled the criteria of AFFs. Two of the four patients had received long-term BP treatment prior to the fracture and three patients had severe deformities of the femur. Femoral fractures in OI imitate AFFs. 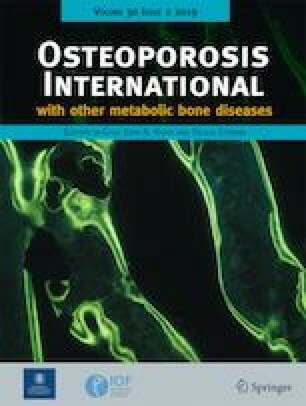 This suggests that bone deformity, collagen deficiencies, and alterations in mineralization of bone may cause femoral fractures that imitate AFFs even in the absence of antiresorptive treatment. Bone deformities should be monitored as part of the management of adult patients with OI. Continuous dull or aching pain in the groin or thigh should lead to radiographic examination. 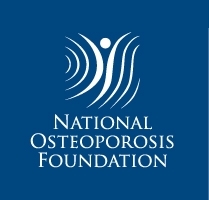 The radiologic appearance of femoral fractures may be different in patients with osteogenesis imperfecta (OI) and patients with osteoporosis, thus imitate atypical femoral fractures (AFF). We found that bone deformity, collagen deficiencies, and alterations in bone mineralization may cause femoral fractures that imitate AFFs even in the absence of antiresorptive treatment.